While searching on web for finding details of user of particular mobile number, I came across a website that can help you to get little information about that user. In this tutorial i will teach you to find surname of Reliance mobile number user in few simple steps. Basically this website is for recharge but it helps you to get information about user of that mobile number. So lets dive into it. 2. 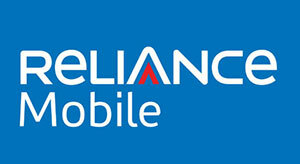 Enter Mobile Number in Reliance Subscriber Number. 3. Email address is optional so you don't need to enter. You have finished reading Trick To Find User Surname Of Any Reliance Mobile Number and many articles about Tech Gallery in our blog this, please read it. and url link of this article is https://littlebitjohnny.blogspot.com/2012/12/trick-to-find-user-surname-of-any.html Hopefully discussion articles on provide more knowledge about the world of new tech gadgets.